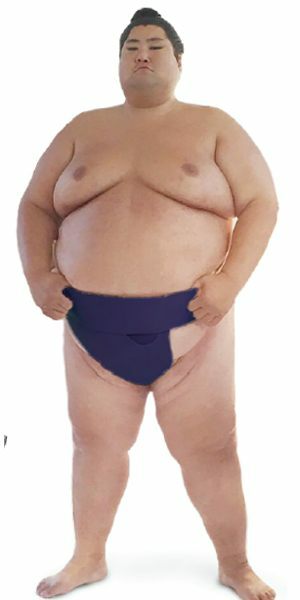 Sumo is a classic Japanese martial art, and our sumo wrestler models are the most authentic, in terms of size, image, and ability. 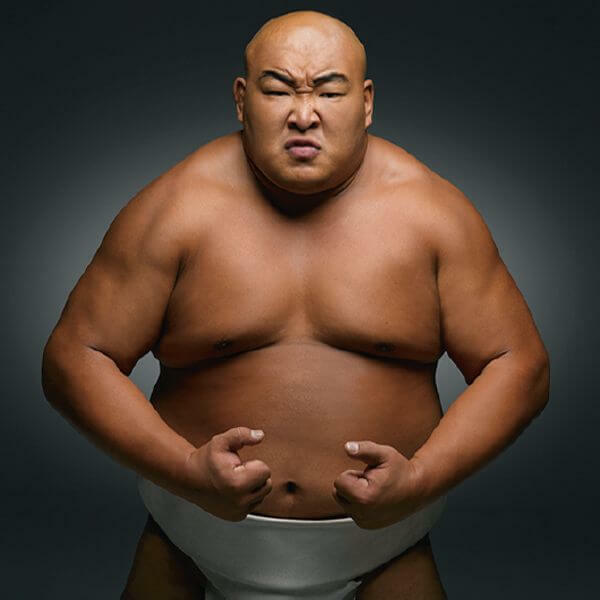 These Sumo Models include well-trained athletes and experienced entertainers, many with years of training and competition in the professional Japan Sumo Association. These men are enormous (300 – 600 pounds), and we ensure extraordinary sportsmanship, authenticity, and big-impact entertainment at your event. 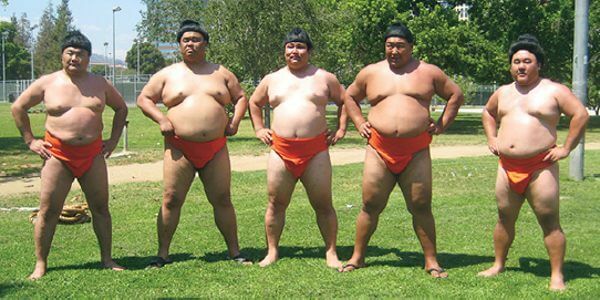 We have hosted and performed sumo events on six continents, and we’re well-equipped to help with yours! The Ellen DeGeneres Show, ESPN Sports Center, ESPN SportsNation, ESPN “Sport Science” (4x), Fox Sports, Good Morning America, Wendy Williams Show, KTLA Morning News (4x), Fox Good Day LA (5x), MTV “True Life”, “Man vs. Beast”, “Monster Garage”, “Battlebots”, “World’s Strongest Man”, ESPN Mohr Sports, Best Damn Sports Show Period, National Geographic (2x), Cartoon Network “Dude”, What Would Happen” (3x), Food Network, “Throwdown with Bobby Flay”, “The New Tom Green Show”, “Mind of Mencia”, “Suite Life”, “Celebrity Fit Club”, Character Fantasy”, “Whacked Out Sports”, “What Are The Odds?”, “The Tonight Show with Jay Leno”, “Let’s Make a Deal”, “Premios Deportes”, “Dhani vs. World”, Discovery “Time Warp”, “Gran Hermano” (Spain), “Bigg Boss”(India), America’s Got Talent”, “Impractical Jokers”, “The Bachelorette”, and dozens more. Dell, GEICO, NIKE, Husky, KGB, Subaru (Canada), Toyota (Japan & USA), HP, Beechams (UK), Kia (South Africa) Toshiba (UK), Pepsi, Beijer Byggmaterial (Sweden), Nippon Paint (Sri Lanka), Bud Light (Mexico), Tekken, Ford, Microsoft X-Box, Solid Works, 361 shoes (China), Doritos (USA & Mexico), Corona (Mexico), and over 100 more. ESPN Magazine (4x), Grappling Magazine, Los Angeles Times (10x), GQ Magazine, Maxim Magazine, Chicago Tribune, Automobile Magazine, Best Life Magazine, L.A. Daily News (3x), Sports Illustrated, Wall Street Journal (2x), San Francisco Chronicle (2x), and dozens more. Arnold Sports Festival, Beverly Hills Friars Club, World Sumo Champions’ Exhibitions, California State Games, Grand Sumo Open, National Cherry Blossom Festival, Asian Heritage Festivals, Morton Arboretum, Japan Center Malls, Springfield Festival, Pacific Asia Museum, Canadian Opera Company Shows, NASCAR pre-event, Menil Collection, India sumo tour, Sumo+Sushi show, Jonathan Club, Asian Art Museum, corporate events (80+), and many, many more.